When I watched Beyonce's "Love On Top" video I immediately fell in love with the sneakers she was wearing. 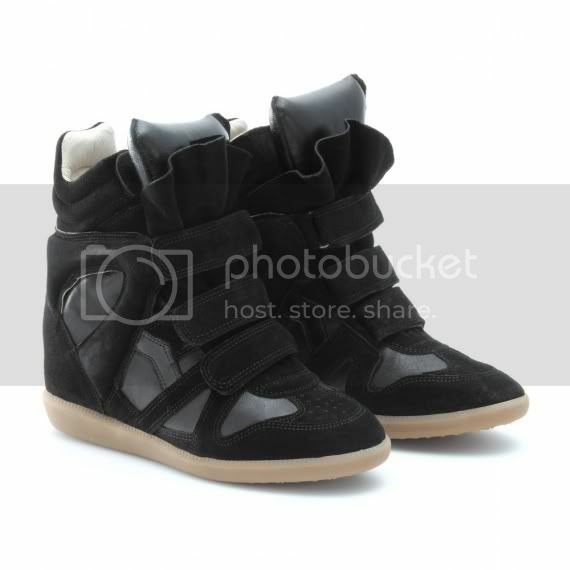 Turns out they're Isabel Marant sneakers which have a hidden 2 inch wedge. Although I really hate the whole sneaker shoe thing.. I die for these. Too bad I won't be buying them since they cost around $725. Womppp lol. Love em or hate em?